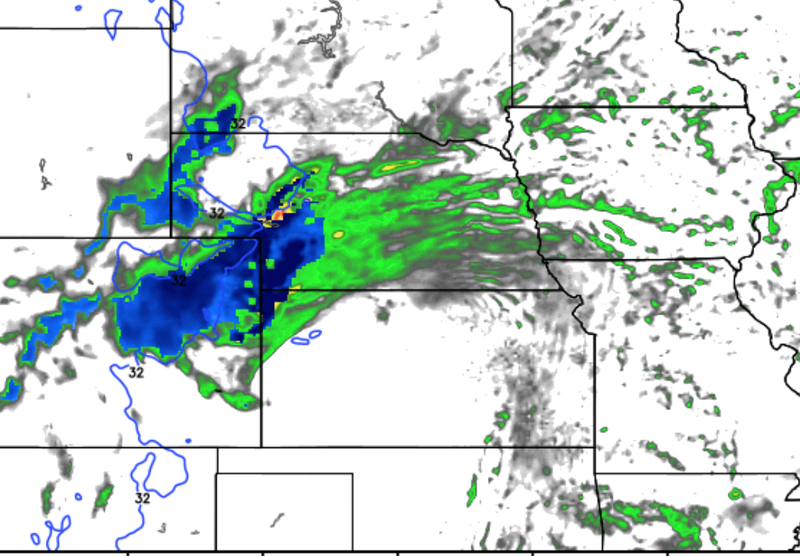 Here is (thanks, Dr. Ryan Maue) a close-up look tomorrow's storm. 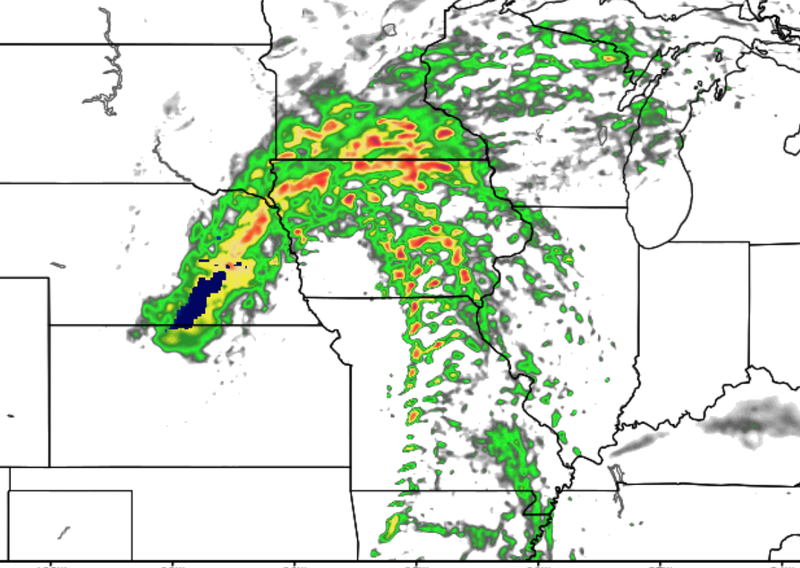 First is the forecast for 2am CST. 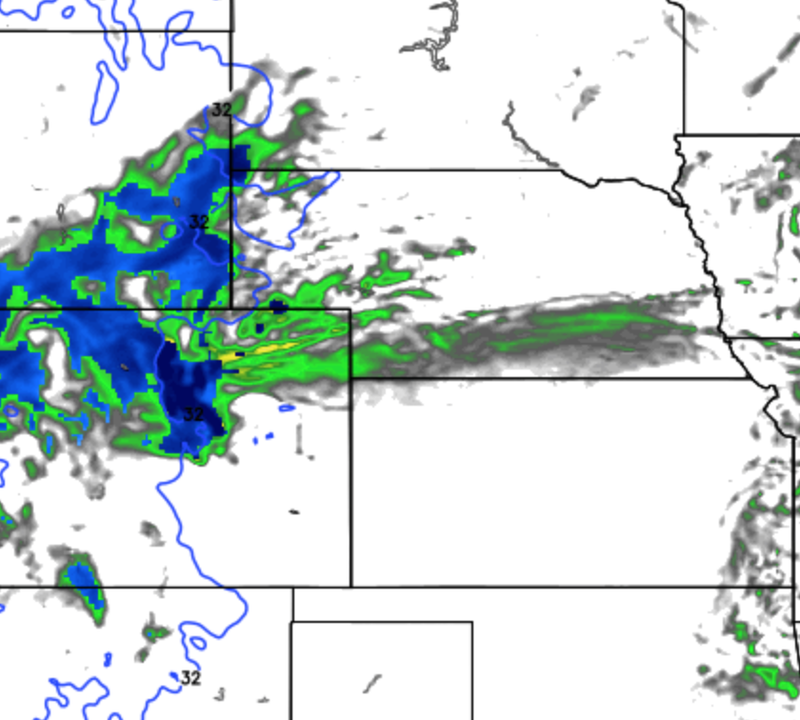 Heavy snow (dark blue) will be falling along parts of I-80 and I-25 as well as I-70 in Colorado. Here is the forecast for 8am showing the snow and wind in the High Plains (dark blue). Travel on I-76 and I-70 in this area will be extremely hazardous. Conditions on I-80 will likely be slippery but not quite as bad as farther south at this time. At noon, the snow area has shrunk (but the snow will still be driven by strong winds) in coverage. Thunderstorms (red) are starting to developing in Nebraska and western Iowa. 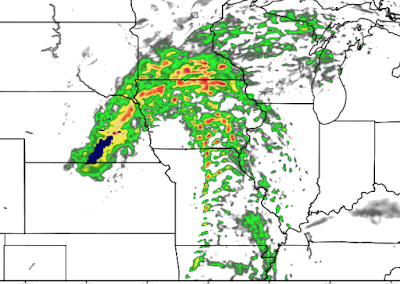 Finally, at 5pm, the thunderstorms are primarily over Iowa and northern Missouri. These are the areas where I believe the higher chances of tornadoes exist. Please factor these forecasts into your plans.